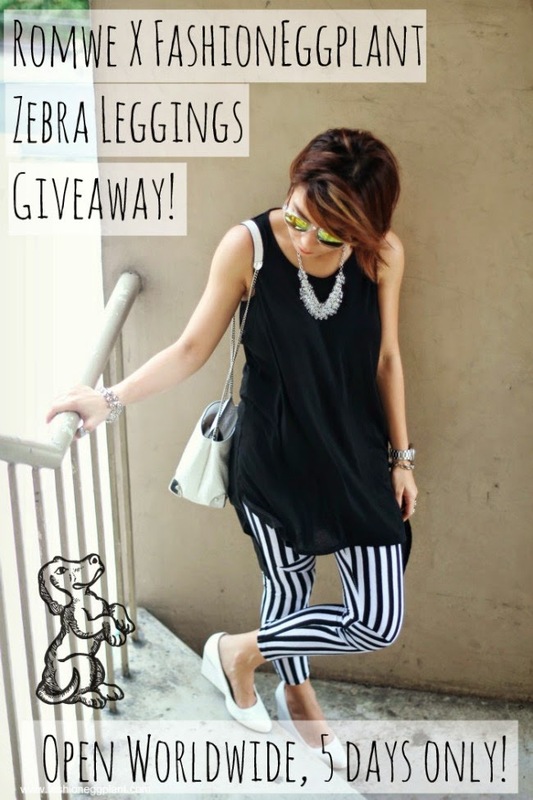 romwe zebra/stripe leggings giveaway - open worldwide! First exploding on the scene in the 1960s, black and white stripe pants has made a huge comeback in the recent years and Romwe has always been at the forefront of the trend serving multiple variations of the style. Of all released, the stripe legging variation has proven to be the favorite of all fashionistas worldwide. The flattering cut and simple geometric print make it interesting and versatile at the same time. It offers endless styling options which is why ROMWE decided to improve and upgrade their design. 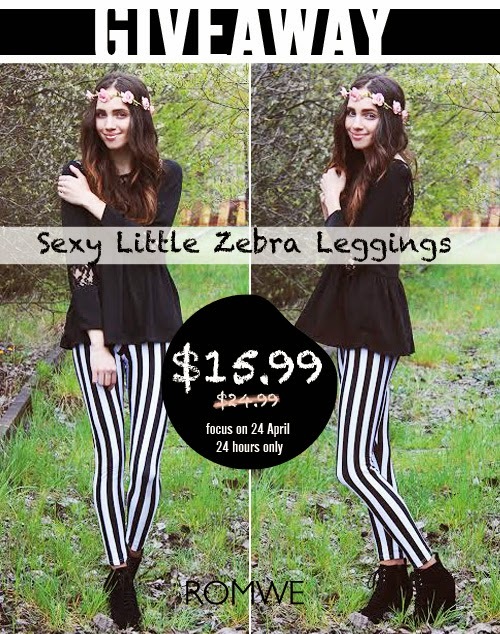 The new zebra leggings are made to make your legs appear slimmer and longer making it the perfect choice for everyone. And now, what you've all been waiting for, a chance to win a pair for FREE! To join this giveaway, simply fill up the Rafflecopter form below and please don't forget to leave a comment with your name and email address at the end of this post.